From Bad to Average only covers a fraction of the cannon. Holmes solves a theft where nothing of value was stolen. Holmes' expertise in handwriting comes in handy as part of a note is left. A highlight of this episode is a look into Watson's life before Holmes. An admirer and imitator of Holmes requires the master's help why he gets stuck on the harpoon murder of a violent sea captain. It turns out the student has much to learn. Missing papers and a curious clue may lead to the fall of the British Empire. Holmes makes some great deductions and lays a good trap. The criminal is the weak point of this one due to his rather weak plot and common motive. This one has a great ending that stands as one of the best Holmes tricks ever, and it's on his own client! 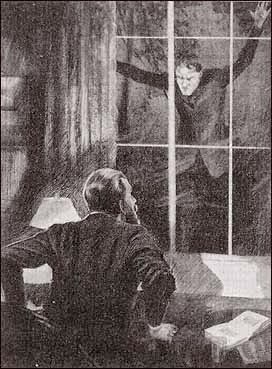 A strangely twisting tale that involves Holmes exploring the motives behind the purchase of a house. This one is also declared a forgery in 'The Seven-Per-Cent Solution. There is a fairly racist caricatured black man in it which brings down an otherwise solid story; however, I don't feel it is any worse than the racism in 'Wisteria Lodge' (not that it is excused). Holmes must free a wrongly imprisoned man and attempt to reunite a family. A man withholds evidence that could lead to his freedom. 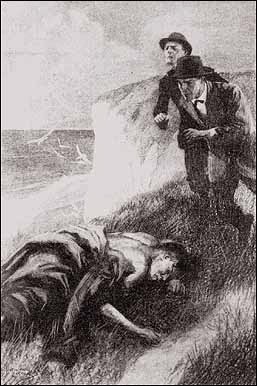 The beryl coronet is used as a McGuffin in this story which is unusual for Holmes' mysteries. A locked room case involving a creepy man. This story puts Holmes' deduction against old passions of a soldier. The backstory is forged in the firery exoticism of the Indian war and provides as good a tale as the main mystery. 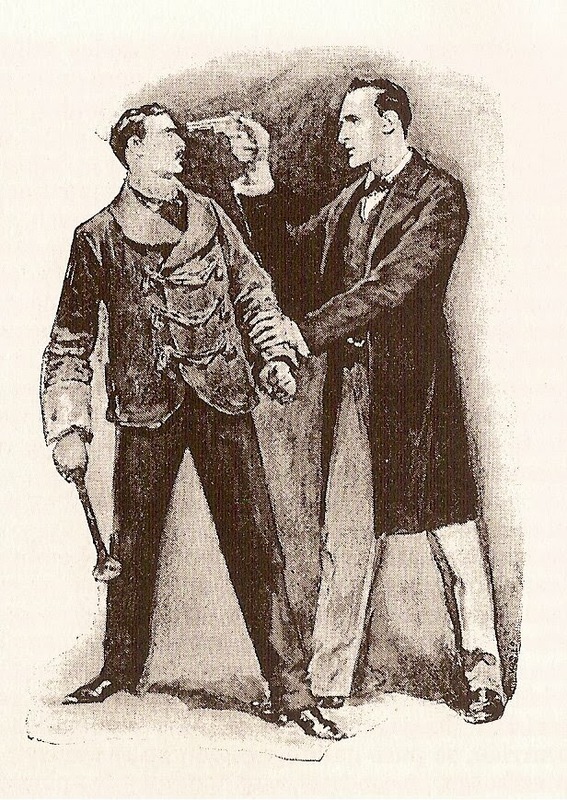 Holmes is called once again by his detective admirer. Holmes' prejudice almost gts the better of him, but his thoughts on the train home win out. The case hinges on a bottle of wine! Sherlock Holmes and Watson take the case of man whose wife ran off with another man and all his money. Sherlock also contends with an up and coming young detective. This case swings on Watson's report of paints fumes and the deduction follows. This story is often put last in the canon as Holmes respects the up-and-comer which makes for a much better last case. 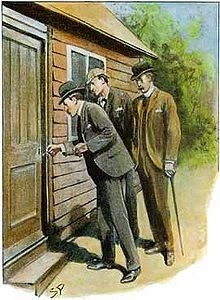 Another fine deductive Holmes case with interesting twists and classic gambles. 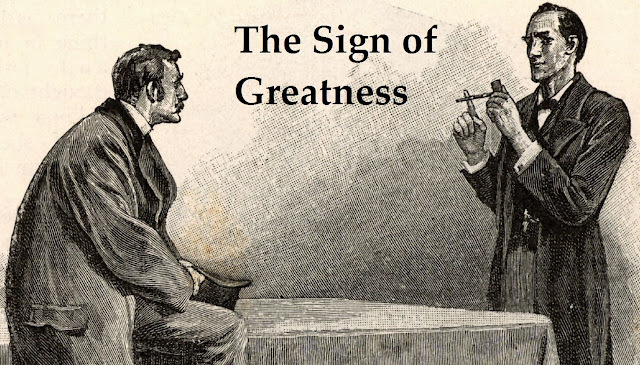 Holmes must help the promising young admirer from 'Adventure of Black Peter' solve a murder where the only solid evidence is a pair of gold pince-nez glasses. A man requires Sherlock's expertise in discovering what happened to his army buddy. As the first tale related by Sherlock himself, this one is a unique and has a few genuinely surprising gothic turns. The ending might turn some off to the adventure, but it is a fitting end to this tale of friendship. 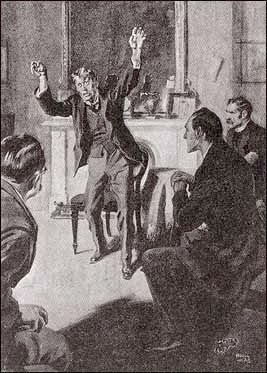 The second Sherlock novel is loved by many and is the most Victorian of the novels. It has Indian exotics and a charming young lady in distress all wrapped around a locked door murder. It gets a little long winded and repetitive at times. Though it has the most suspenseful boat chase in fiction, it couldn't save the rather obvious plot and lame cartoonish villains. Next Time: Sherlock tales that really rise to the occasion.